That dress is amazing. I love the way you just whipped it up!!! Welcome back! I’m going to try to work on the kids’ clothing week challenge this week, too. Shorts and rompers are in order. 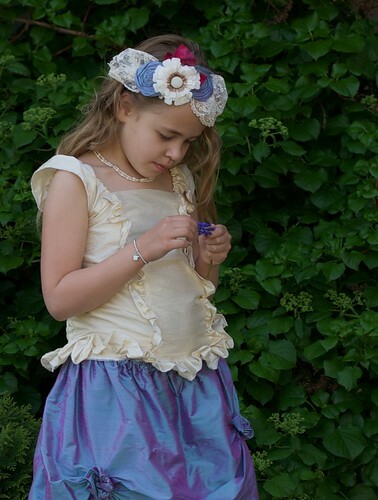 K’s Easter dress is so nice– you can tell she feels like a princess! Fantastic dress! You have been busy. Missed you, but I completely understand about blogging.